The seminal British band Motorhead have been rocking since 1975 and show no signs of letting up. From early classics "Ace Of Spades", "Overkill" and "No Sleep ’til Hammersmith", the band have racked up an incredible 25 albums. "Overkill" tells the whole story of the ultimate rock ‘n’ roll trip, through original interviews with those that were there. 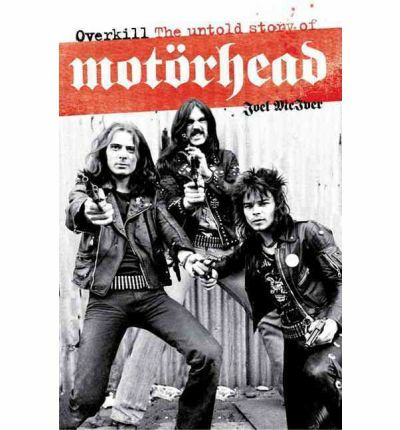 To be in with a chance of winning one of five of these great books, ‘Like’ our new Vive Le Rock Facebook page (remember to ‘Like’ the page even if you’re already friends with our account) then message us with your name and address and identify which music legend fronts Motorhead. Good luck and vive le rock!